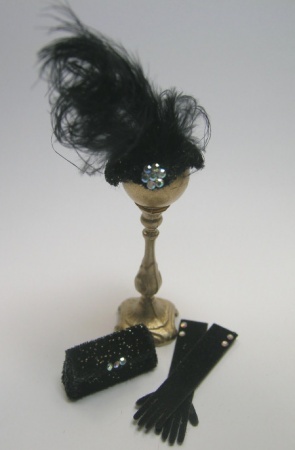 This very 20's style ensemble is made in a black velveteen with silver glitter sparkles. The tightly fitting hat is trimmed with tall feathers and jewels. There is a matching clutch and pair of leather gloves included.